Limited counter space, forgetting your razor or toothbrush, losing your floss; little things can make travel a pain. This is what we thought about when making the Mato & Hash Toiletry Bag. 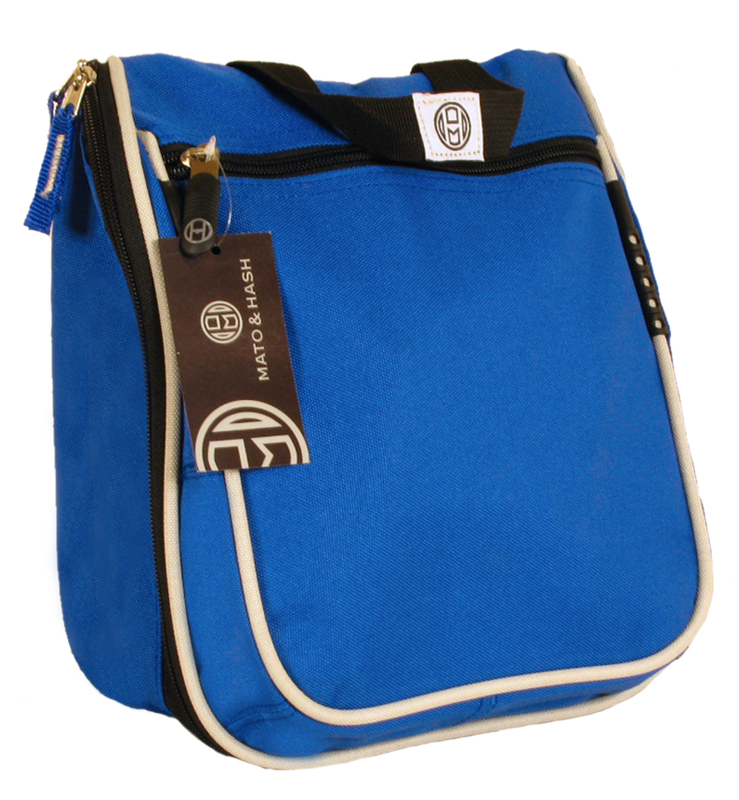 This hanging toiletry bag can hold it all in less than the space of an average brown paper bag. The expandable outer shell is durable, easy to clean canvas featuring an 8 inch deep outer pocket with an improved no-jam zipper and houses 9 water-resistant nylon inner pockets for nearly every need on the road. Just unzip, flip the top up (doubling your space), hang it up by the inner hanger hook and you have all the amenities of home wherever you are. 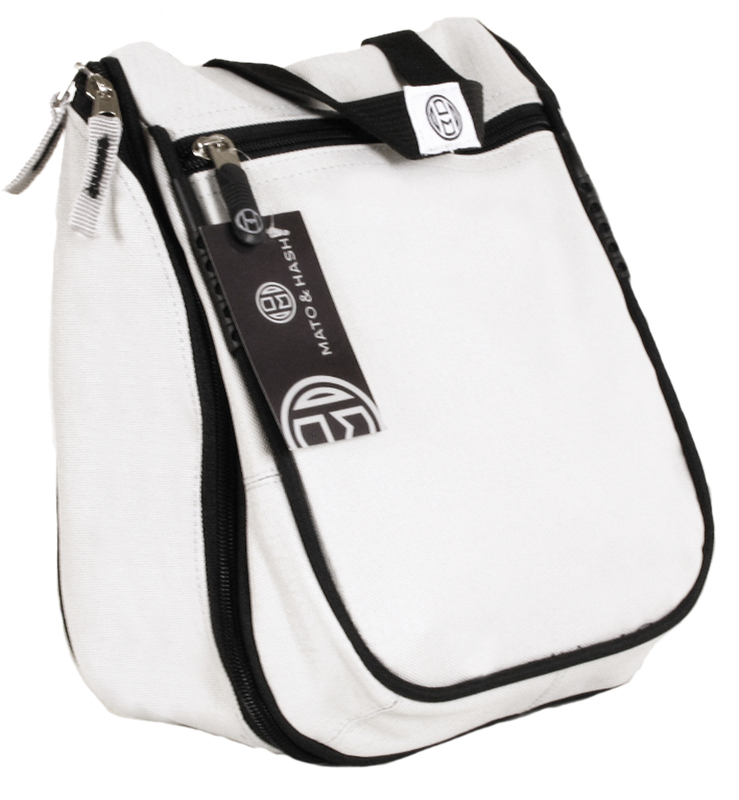 The 4 elastic lined inner pockets can hold all your smaller items, razors, refills, toothbrush, toothpaste, comb, while the next pocket is big enough for all your shaving cream, aftershave, shampoos, conditioners, deoderant, and body washes. Behind that, we've got another deeper elastic lined pocket to hang onto your bigger items, hair spray, brushes, gels, and combs. Above that is a convenient elastic loop for go-to items; keeping them always within reach.The top compartment has a more rigid, durable mesh pouch for makeup with an elastic strap for hair ties/clips/etc or even a clip-on mirror (sold seperately) as well as a solid pouch below for miscellaneous items. Perfect for travel, the gym, college dorms, camping, road trips, or just freeing up some space under the sink or behind the mirror. Height: 10.5", Width: 9", Depth: 1" (Flat) / 4"+ (Fully Expanded). Great for travel, the gym, college dorms, camping, road trips, everyday.